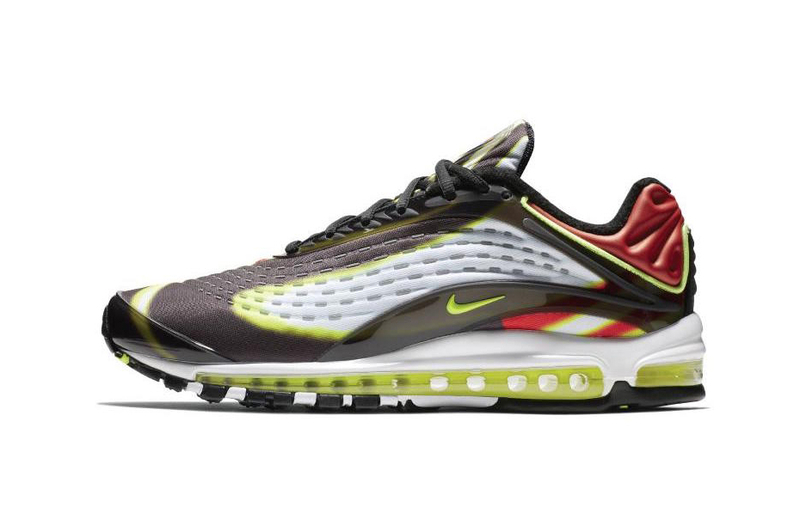 Continuing its push of the Air Max Deluxe, Nike recently gave the unique Air Max model a bold “Volt/Habanero Red” makeover. Highlighting the silhouette’s breathable mesh construction, the latest colorway sees the shoe dressed in a haphazard pattern comprised of black, white and red tones. Additional upper embellishments include a sculpted heel collar portion, a translucent TPU toe guard and a matching midfoot/lacing overlay. Finishing up the design of the shoe is a full-length volt Air unit midsole and a segmented black rubber outsole. Priced at $180 USD, the Nike Air Max Deluxe “Volt/Habanero Red” is set to release in the coming weeks at select retailers and nike.com. In case you missed it, the Nike Air Max 97 Premium is set to release in a “Baroque Brown” colorway. The latest iteration of the technical model. Plush neutrals from Yuki Mastsuda.